As a pastor, prolific author, and photographer, Dave Claassen has too many talents and projects to list in one short bio. He and his wife, Diann, have been married since 1972 and they have two grown children. 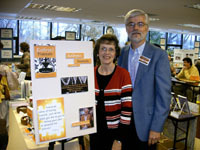 Their daughter, Julie, serves as a missionary with her husband in Mexico in a ministry they founded called Fishers of Men. Their son, Dan, is the executive director of 4KIDS, a non-profit foster care organization in the greater Tampa Bay area of Florida. 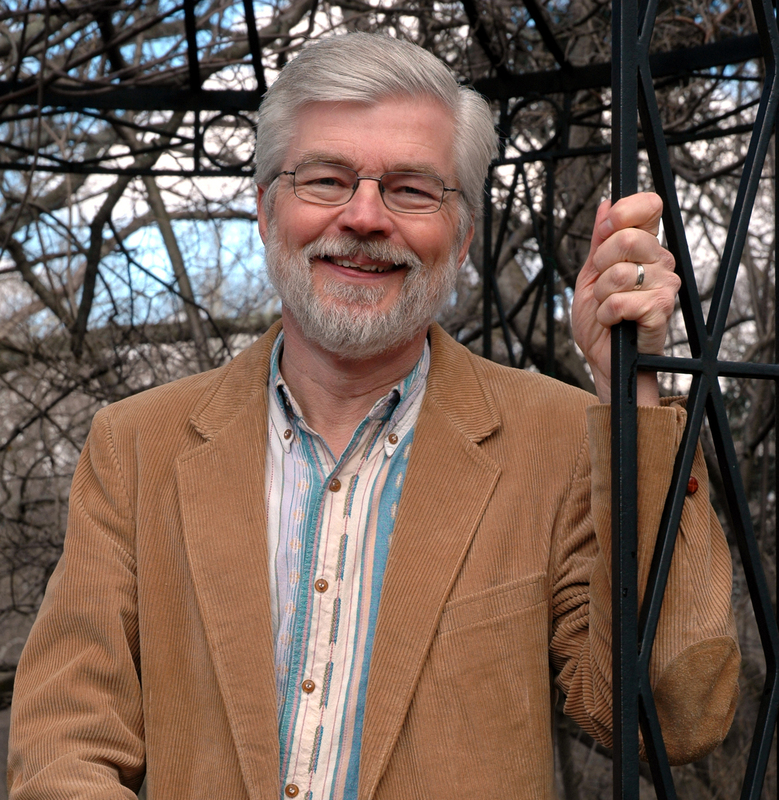 Dave pastored the Mayfair-Plymouth Congregational Church of Toledo, Ohio, from 1975 to 2014. Now Dave and Diann divide their time between Florida and Mexico to be close to their children and grandchildren. Dave shares his photography, videos and vlogs on his Website and on Facebook. Over three hundred of his photos are for sale at www.istockphoto.com. As a ventriloquist, Dave occasionally entertains kids (and big kids too) with conversations with his little buddy Ricky that usually have moral and spiritual points to them. Learn about Dave’s other titles on his website here. What’s the basic storyline of your novel Kathryn’s Fountain? David: It’s about a woman, Kathryn, and an interesting collection of characters with whom she lives in a majestic old house called Victorian Manor, an extended care facility. Kathryn feels her age has pushed her to the margins of society, that she is no longer of much use in this world. Through a series of miraculous events Kathryn discovers that she, indeed, still does have a purpose for being here. Does the entire story take place in Victorian Manor? David: No. Kathryn finds herself in a coffee shop, at a park and other places relating to a seven year-old girl named Jasmine who spends a major part of each day on the street unsupervised by an adult. Kathryn feels called to reach out to Jasmine and to rescue her from her tragic situation. Kathryn also encounters a young detective named Ben, who also gets involved in trying to find a better life for Jasmine. It sounds as if Kathryn’s Fountain has a collection of characters of various ages. David: Yes, one of the themes of the story is the tremendous value there is in the different generations relating to each other. I’m grateful to be a pastor of a church where we have pretty much a balance of people from children through a significant number of people in their 80s, and even 90s. Years ago families lived together in a multi-generational setting with Grandpa or Grandma living with the parents and grandchildren. This tends not to be the case today. We tend to isolate the generations, each generation feeling most comfortable relating to itself. We miss the gifts each generation can give to the other generations. You indicated Kathryn’s Fountain contains a series of miraculous events. What’s your take on miracles? Do they still happen today? David: They surely do. It’s interesting that when Jesus did miracles He never did them with the intention of convincing non-believers. He often did miracles as privately as possible. I think God is still reticent today when it comes to His display of the miraculous. I believe He does the miraculous in our lives all the time, but they often go undetected. You could say He does miracles by stealth. They often fly under the radar of our daily observations. There’s a “puzzle lady” in Kathryn’s Fountain and I understand you’re in the habit of handing out puzzle pieces at book signings and speaking engagements. What’s up with this? David: First of all, the “puzzle lady” character was inspired by one of the shut-ins in my own church. She lives in an extended care facility. Her mind is bright and she passes the day putting together jigsaw puzzles. She has done hundreds of them. Several are glued and framed in her room, and she gives them away. A puzzle is never complete until that last piece is put into place. Each of us is a piece of the puzzle that makes up the big picture of God’s grand scheme of things. We each have our part to fill in. Each of us is of strategic importance to God, right where He has us in life. Each of our lives has a purpose. How did you come up with the idea for Kathryn’s Fountain? David: Believe it or not, one morning I woke up with the basic storyline on my mind. There it was! Of course it took months of writing and rewriting to get it down right on paper, but the initial idea pretty much was there when I woke up that morning. What do you see as your purpose for writing Kathryn’s Fountain? David: As a writer, I want to offer an entertaining, fun read. I want people to really get into the story, to be able to clearly picture in their minds the unfolding events. As a writer who is also a Christian, I want to write with a purpose. I’d like a person to come away from reading Kathryn’s Fountain with a profound sense that they are a piece of the puzzle that makes up God’s big picture of what He’s doing. I’d like the reader to have a deepened appreciation for God’s miraculous working in our ordinary lives. And I believe we are meant to enrich the lives of people of the generations other than our own. Having said this, I was intentional about not wanting to come off “preachy” because my desire is to have people enjoy Kathryn’s Fountain as just a good story. I’m sure your readers agree with us that you succeeded, David!